Don't have an A.B.C. account? Welcome to Free Counted Cross-Stitch Patterns Archive! Inside the archive you will find cross-stitch charts for many occasions - floral and seasonal designs, designs for holidays, animal and baby themes and much more. All counted cross-stitch patterns in this freebies archive are provided in the form of printable PDF charts, exactly like the patterns offered for sale. Please try them out to see the quality! Start browsing through our free counted cross stitch patterns archive. In order to have access to the A.B.C. 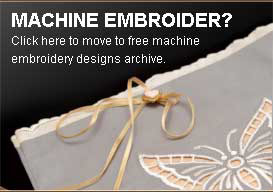 Cross-Stitch Freebies Archive you need to be a registered member. Sign in on the left or create an account for free using just an email address and self-chosen password. As a registered member of the A.B.C. Cross-Stitch Freebies Archive you will also receive the regular newsletter from us and you will be notified about new collections, special offers and every new freebie that is added. To show what you'll find in the archive, here is a pattern. You can download it without registering.